Two young men have been found beheaded at their home in Turkey’s Sanliurfa in an attack that has been initially blamed on ISIS, reported Anadolu Agency. 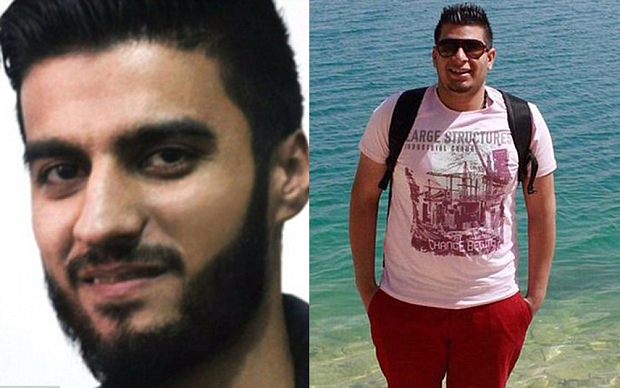 Ibrahim Abdul Qader, 20, and Fares Hamadi were both found decapitated, shocking their friends and family. According to Al-Arabiya, both young men were originally from Raqaa City, which has been declared as the capital of ISIS since it took control in 2013. Abdul Qader and Hamadi had managed to flee the ISIS-controlled city in 2014 and had settled in the southern Turkish city of Sanliurfa, located just 55 kilometres from Turkey’s border with Syria’s Raqaa province. “I don’t know what to say. One of our member called ‘Ibrahim’ and another friend ‘Fares’ were found slaughtered in their house today,” wrote Abu Mohammad, an activist and founder of a Facebook group, ‘Raqaa is Being Slaughtered Silently’, wrote on social media. Turkey has faced accusations by Syrian and Kurdish activists, along with foreign diplomats, for having a lax policy that allows ISIS members to pass through its border with Syria. Photographs and video have shown ISIS members chatting with border forces, crossing borders and more. Earlier this month, two large blasts in Turkey’s capital city of Ankara killed at least 86 people and left more than 186 injured. The twin bombs targeted a peace rally calling for an end to violence between Turkish forces and the PKK, the Kurdish separatist group, earlier this morning. While ISIS never officially claimed responsibility, Turkish authorities have blamed the terrorist group for the blasts. In July, ISIS had also been blamed for another attack on activists in the town of Suruc which left 32 young people dead.